Many drivers who are stopped by police in Texas do not realize they have a right to refuse a DWI breath test. Although most of us are taught from an early age that we should cooperate with the police, it’s not the responsibility of a driver under suspicion to help make the case of his or her accuser. Under the 5th Amendment of the United States Constitution, no person can be compelled in any criminal case to be a witness against himself. There are pros and cons to taking the test. Texas has an ‘implied consent’ law. As we previously noted, if you refuse to take a test, your driver’s license can be suspended for 180 days assuming it’s your first offense. For a second offense, your license can be suspended for as long as two years. But there are also arguments for refusing a breath test. If you take a breath test and fail it, prosecutors have hard evidence to present to a court hearing that you were drinking alcohol before you were stopped. 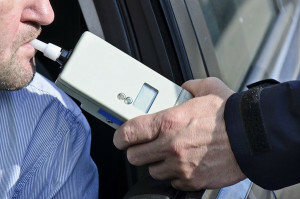 If you refused a breath test, a prosecutor will have to base his or her observations on your behavior during the stop. You should also refuse field sobriety tests that can give a police officer more ammunition to claim you were impaired. Breathalyzers are notoriously inaccurate. While a blood/alcohol level of 0.08 percent will is above the legal limit in Texas, there have been cases in which defendants blow 0.05 of 0.06 and the reading ends up above the impairment limit. If you have consumed alcohol and the result is borderline, an inaccurate breath test reading can be the difference between a conviction and a clean record. You have a right to have a blood test conducted by a medical professional of your choice within two hours of your arrest. This can be a more sensible course than agreeing to a breath test. Not only are blood tests more accurate but if your case is borderline the time between your stop and the blood test may allow your BAC level to fall. If you have been accused of a DWI it’s very important to get experienced legal representation as soon as possible. Call the Medlin Law Firm at (682) 204-4066.